the benefits of mobile transactions. A world first. 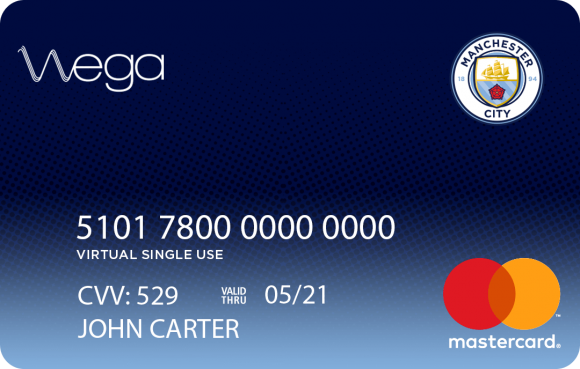 A prepaid Mastercard, secured by acoustic technology. 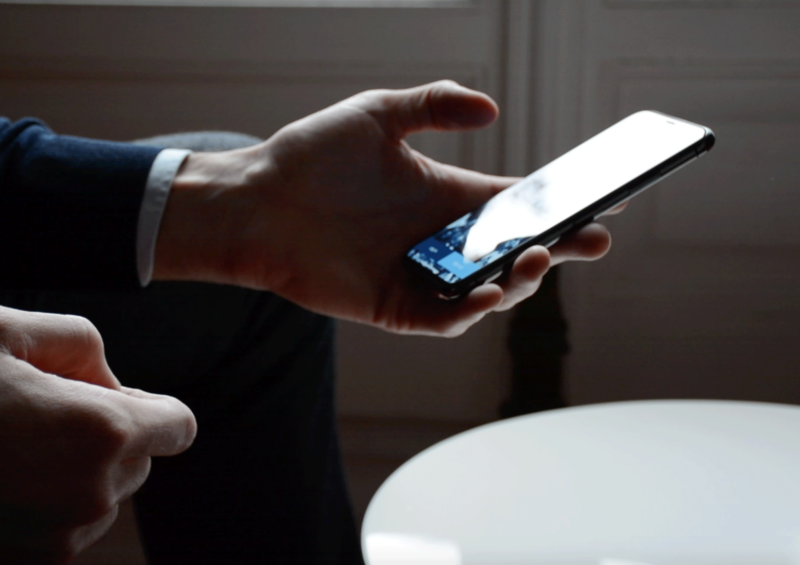 Your card can emit a secure tone which will enable you to log in to the app, and in the future pay online. You can add up to 2 cardholders to your account and instantly top up their cards right from your Wega app. they just need to be a close family member over 18. Is your child between 13 and 18? You can order a City Wega card for them and manage it right from your app. You can easily and instantly top up their cards right from your app. Digital Wega cards allow you to make payments accross your favorite online websites while collecting points to access exclusive Man City rewards. A 3D secured virtual card for use when shopping online. Manage your card from your app and pay anywhere online including Amazon, Uber, Deliveroo and more. Never reveal your card number when paying online. Instead, instantly generate a Wega single-use card from your mobile with unique numbers that will expire right after your purchase. 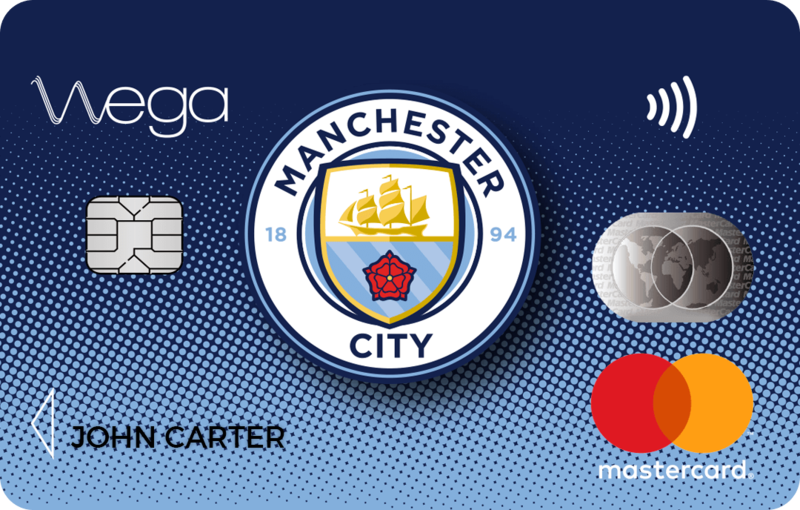 Get the app on iOs and order the Man City Supporter’s card within minutes. Android™ app coming soon. The MANCITY WEGA 3DSA Prepaid Mastercard is issued by Transact Payments Limited pursuant to licence by Mastercard International. Transact Payments Limited is authorised and regulated by the Gibraltar Financial Services Commission. Mastercard is a registered trademark and the circles design is a trademark of Mastercard International Incorporated. The MANCITY WEGA 3DSA program is managed by Truxtun Capital SA, technical associate of EMVCo and member of the FIDO Alliance. UK Wega representative: Gleevest Capital Ltd.